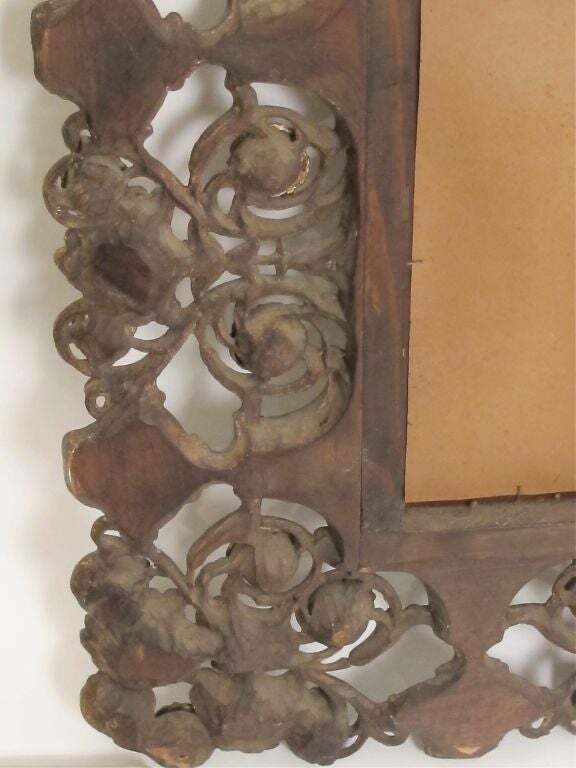 Beautifully carved walnut mirror with original paint. Can hang vertical or horizontal. Italy, early 20th century. Ornately elaborately openly carved. Dramatic style and size. The frame is 8" wide. 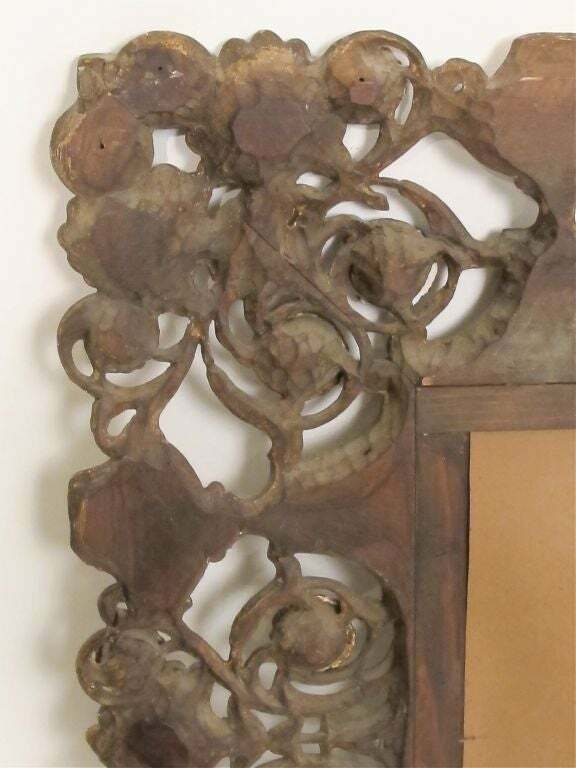 A very unusual, large and dramatic modernist gilded and carved mirror with overlapping carved disc design. Italy, circa 1960 Size: 51" high x 49 1/2" wide x 3 1/4" deep. 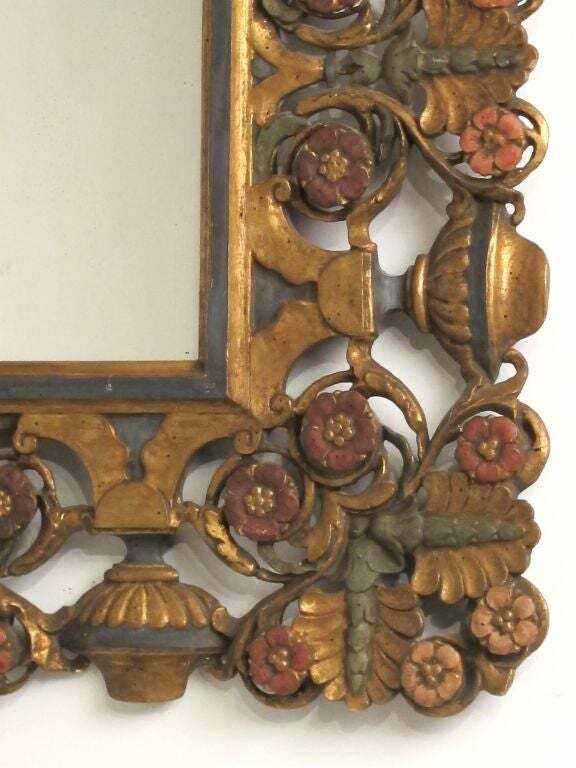 Spanish Moorish style wood carved composition polychrome decorated mirror. 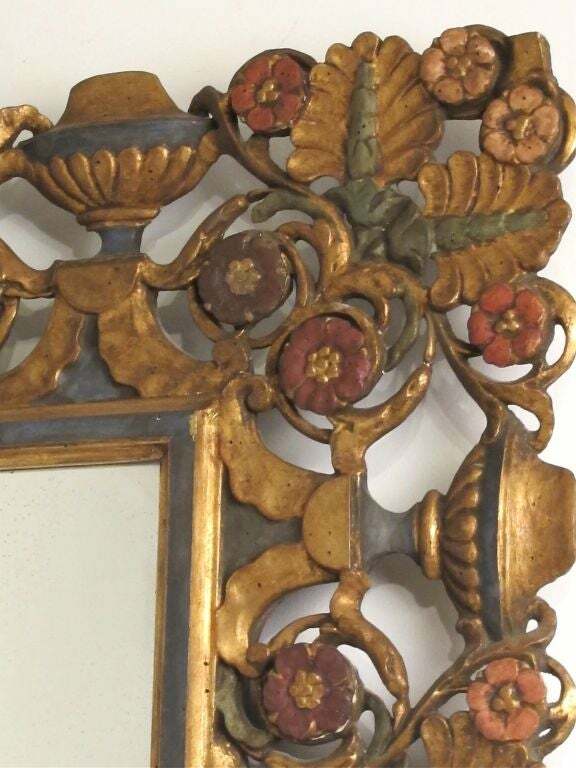 Heavily carved and hand-painted, decorated with flowers, tulips, fleurs-de-lys and leafs. 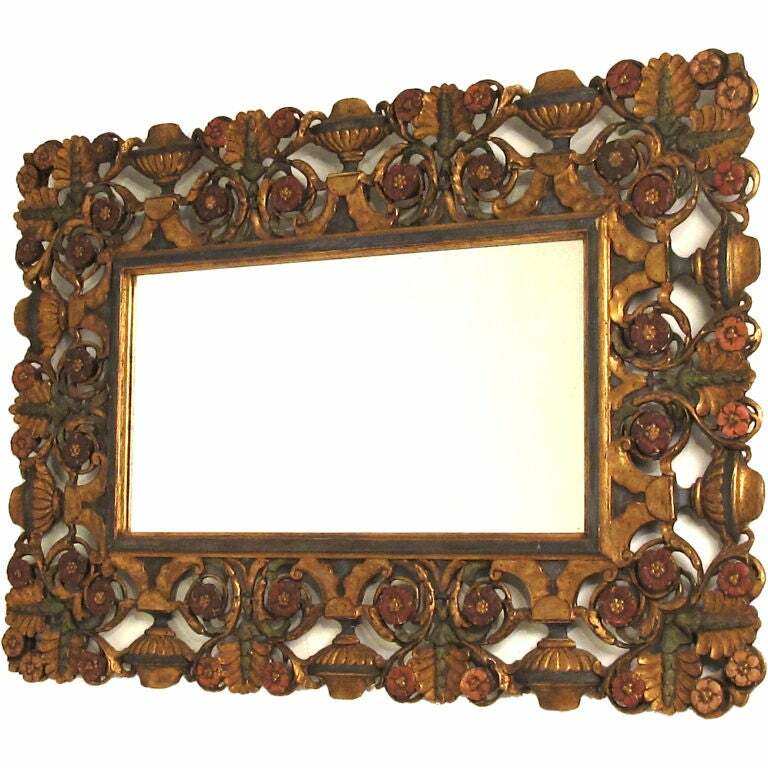 Well-crafted 1940s Italian mirror with knotted rope motif, executed in hand carved giltwood.